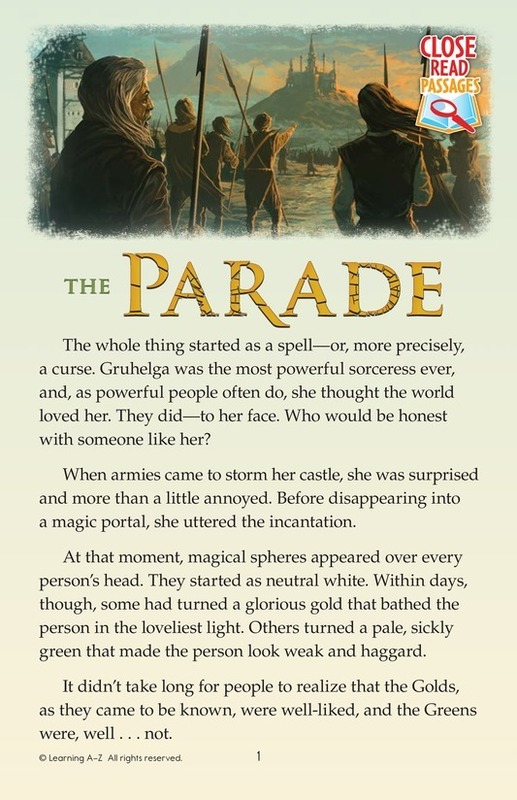 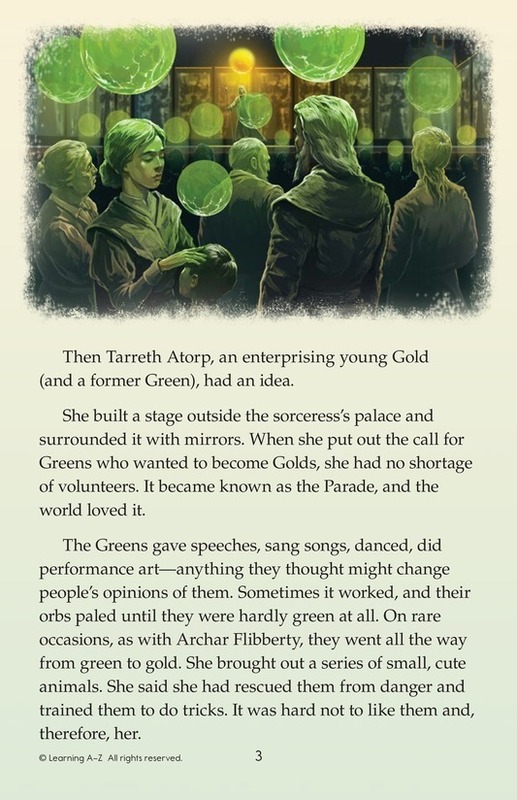 The powerful sorceress Gruhelga casts a spell that makes a magical green or gold orb appear over everyone's head. 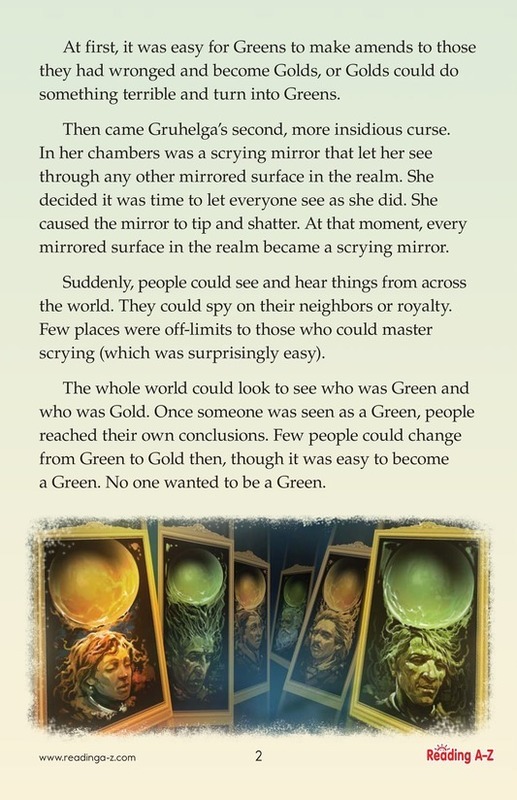 Soon, these orbs create problems and the people are more divided than ever. 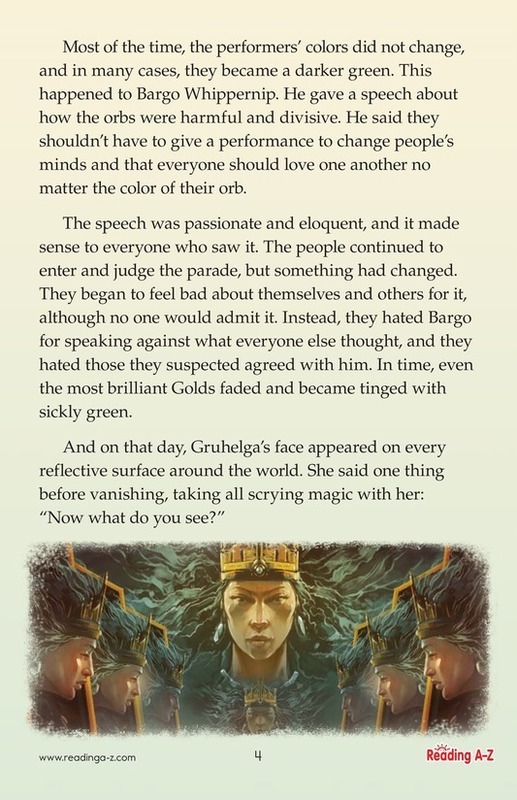 Will the people learn Gruhelga's lesson?